Self healing material is the latest emerging technology and most of the top science and technology research schools are studying and experimenting with self healing technology. The University of Pennsylvania is working on a new type of plastic material which has the self healing properties analogous to that of the tentacles of a squid. The plastic which is being researched and developed can heal itself if treated with a little water. Isn’t it absolutely amazing? The video below will give you a clear understanding of the self healing plastic. The scientists have made a dog’s bone shaped plastic which has been cut into two separate pieces with a blade. Then the two pieces are joined back to back without any glue or adhesive. Just a few drops of water is put on it and the water drops are stirred a bit. The plastic heals itself completely and regain its lost shape. 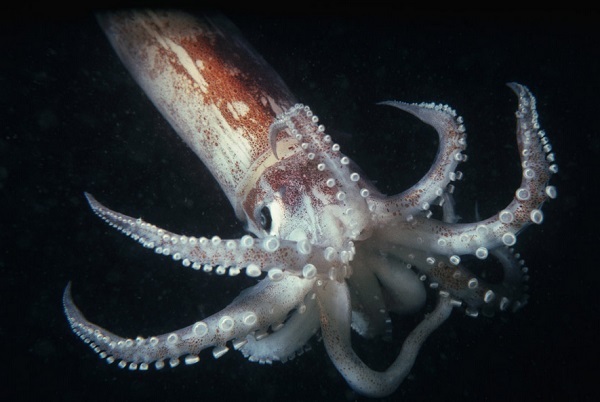 Squids have protein in their choppers which help them in reforming the damaged tentacles. The scientists at University of Pennsylvania have successfully created in the laboratory the self healing material from strong structural and interfacial materials. The major are where this squid inspired plastic finds application is in underwater cables where sea water can act as the healing chemical. Scientists are yet to figure out its condition from other damaging like shark bite or other aquatic animals.